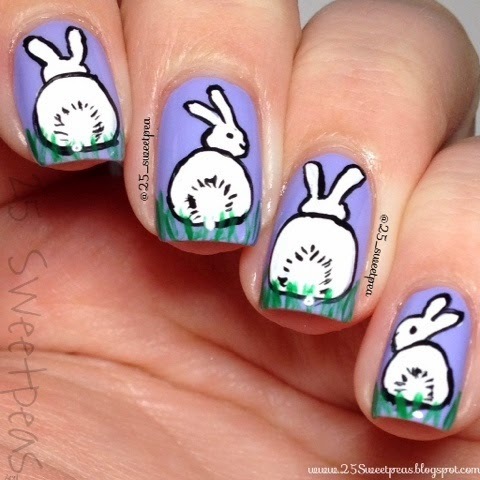 Today for y'all I have some super cute bunny tail nails inspire by the wonderful Jaunty Juli! When I saw her nails I knew they were a must for Easter season. I mean how cute are bunny behinds! Haha!! So for this look I use the same color she actually used in her tutorial which you can see here, which is Sinful Colors Candy Coated. I lovely paste creme. The formula for this polish is a bit watery but here is what it looks like with 2 coats, no top coat. It's a really nice color in my opinion! I am not sure if you can still get it or not though. I got it a few years ago when they had just released a wonderful spring line and well I got them all! ;D They are all so pretty!! The bunnies were done with acrylic paint, and then I finished it all off with my top coat! 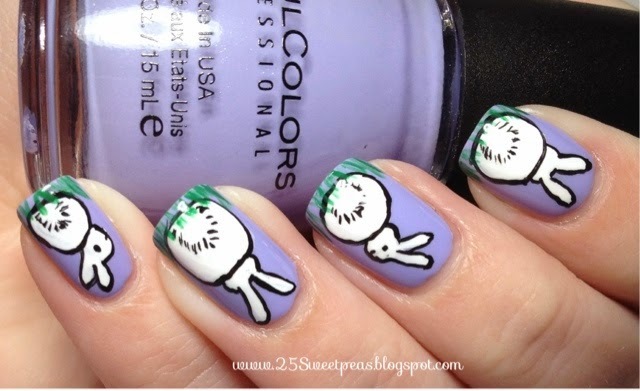 So what do you all think of this Bunny Tail mani? I am loving it!